The best part about spring is getting to show some skin...and gold. There is nothing quite like the feeling of crisp air blowing through your hair and the heat of the sun on your skin once spring arrives. Another amazing (but under-appreciated, if we do say so ourselves) seasonal sensation? That of gold chains brushing against your collarbones, finally tucked out of turtlenecks and paired with shirts with lower necklines. Last week we were thinking about freeing our toes (sandals! opened-toes platforms! sling backs! ), and this week we’re thinking about freeing our necks from the sweaters and scarves of winter. While we’ve still got layering on our minds, it’s much shinier (gold chains! vintage cross necklaces! rainbow chokers! ), so in the spirit of being extra this spring, here are the 18 necklaces we’re look forward to buying, piling on, and wearing everywhere. 1. Jennifer Fisher Mini Stop Pendant: Just three days ago, thousands of students in the U.S. walked out of their high schools to march for action against gun violence. If you’re looking to get involved, you could always sign up for monthly donations at Everytown, or you could buy a Jennifer Fisher Mini Stop Pendant, as 100 percent of the proceeds will be donated to Everytown (you could also do both!). It’s an amazing way to give back, grow your neck party, and wear a reminder of what you’re fighting for right near your heart. 2. Bagatiba Vintage D3C Necklace: Growing up in a Spanish family, I always wore religious jewelry; my grandma would give me a new cross or saint necklace every year. Unfortunately, I didn’t realize how precious they were when I had them, and most of them are at the bottom of the ocean somewhere off the coast of Spain (swimming with precious heirloom necklaces is not recommended). This amazing Bagatiba necklace reminds me of all the great pieces I used to have, so I think it’ll be an apt replacement. 3. 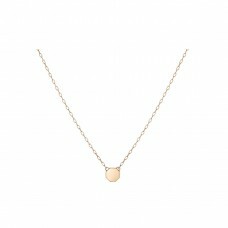 Melissa Kaye Jewelry Jen U Necklace: I tend to wear layers of very thin and dainty gold necklaces. They nicely complement one another, although sometimes I’m worried that they are all a bit too similar. In order to add a little *pizzazz*, I’m really looking into necklaces like this Melissa Kaye one that are a bit more structural. 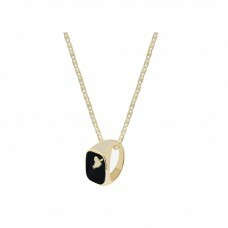 The U shape reminds me of a sculpture and will make my neck feel like a museum. 1. 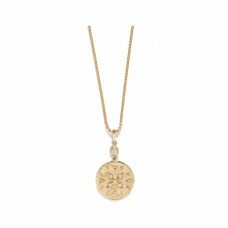 Azlee Compass Coin Small Diamond Necklace: Is there any better feeling than gifting yourself with diamonds? I think not. I’ll start out with this Coin necklace by itself and then slowly add a few more Azlee charms—I’ve been eyeing the emeralds—over time. 2. Carbon & Hyde Infinity Choker: Stacking chokers is my new obsession, and I need some sparkle in the form of this Carbon & Hyde stunner to make my latest set complete. Two carats (!!) ought to do it. Plus, it’s an extra feel-good purchase, since it’s locally made in downtown L.A.
3. 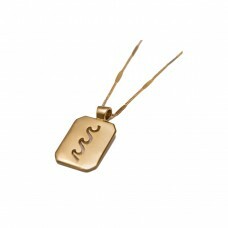 Jacquie Aiche Prayer Box Necklace: For everyday, I’m super into simple gold charms with a delicate chain. I usually wear two or three at a time (sensing a theme here? 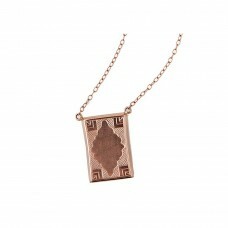 ), and I’m dying to add this Prayer Box Necklace to my collection. 1. 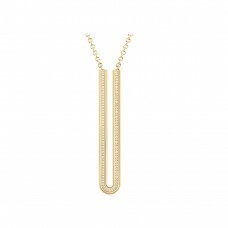 Nak Armstrong Ruffle Bar Riviere Necklace: I love jewels! And I justify shelling out for the fine stuff by looking at it as an heirloom that will be passed down for generations. 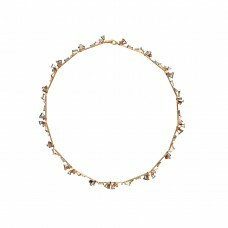 Nak Armstrong is one of my favorite fine-jewelry designers right now. His pieces teeter between classic and gothic, and are so, so unique. I’ll need to scrape together a few paychecks before snagging this necklace, but it’ll be worth it. 2. 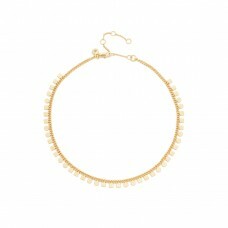 KB Arya Necklace: While I enjoy sparkly jewels for fancy occasions, my day-to-day accoutrements are simple and easy to wear. KB’s entire collection is made of sterling silver and gold items that I live in. 3. Daniela Villegas In the Wild Necklace: Daniela Villegas’ obsession with insects and creatures, and the most fascinating gemstones, is something I’m totally aligned with. I’m still obsessed with her teensy insect rings, but love how she keeps evolving her line to larger and more ornate pieces like this one. 1. 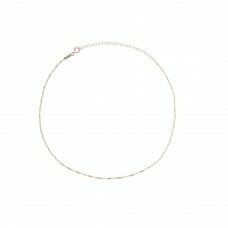 Madewell Mini Geochain Choker Necklace: This was my go-to piece of jewelry last spring/summer, but me being me, I misplaced it somewhere. I’ll be adding another to my cart, ASAP. 2. 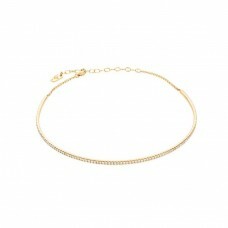 Catbird Sweet Nothing 14-Karat Gold Choker: Clearly I’m a sucker for gold chokers. Since I’d describe my style as pretty minimal, I love subtle pieces. 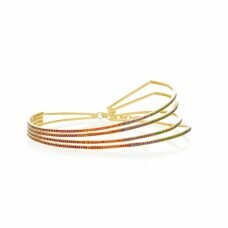 They’re perfect for layering, easy to style with your favorite swimwear, etc. 1. 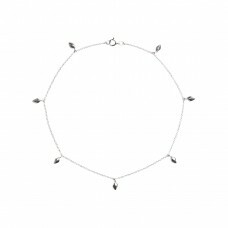 Shami Briseur de Coeur Ring Necklace: There’s something about wearing a ring on a chain that literally never goes out of style; I remember buying a ring necklace from Claire’s in eighth grade with the hopes that people would think the love of my life gave it to me. Now I’d do the same with this Shami piece—and the love of my life giving it to me would be myself! 2. Gimaguas Apricot Necklace: I’m highly attracted to fiery colors lately (for obvious reasons), and this delicate apricot necklace from one of my favorite under-the-radar brands is easy to throw a shock of shade into my usual mix of gold and rose-gold jewelry. 3. 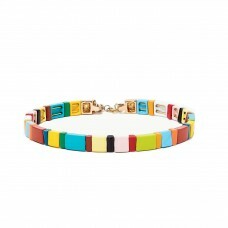 Roxanne Assoulin Rainbow Brite Choker: I know, I know: You’ve seen this all over Instagram. And now I’ve fallen for it, too. Roxanne’s are just so jubilant, playful, and off-the-beaten path, a departure from what we normally think of as jewelry, that I can’t help but gravitate toward them. You’re seeing them everywhere for a reason! 1. Shami Single Varsity Letter Necklace: I’m here for anything with my name or initials on it, and this varsity necklace falls directly into that category. Imagine a cute li’l white J on this chain? Necessary. 2. 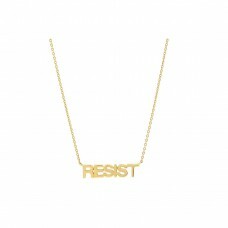 Eriness Jewelry Resist Necklace: Eriness donates 20 percent of proceeds from this necklace to Planned Parenthood. Need I say more, besides the fact that it’s so cute? 3. Joanna Laura Constantine Rainbow Choker: While it’s been a while since I’ve worn a choker (they got old quick for me), I can’t stop obsessing over this one. I think it’s perfect for a casual outfit of jeans and a white tee.